On this page you will find a list of resources and research that have been shared on our website, in order of the date they have been posted. Please share your resources (handbooks, reports, guides, etc.) by logging in to our website and uploading your resource here. What’s Your Recipe for a Better Food System? community engagement events were an opportunity for the community to provide input for A Food Policy for Canada. FSC members hosted 23 in-person events across Canada and 4 web sessions between July 15 and September 30, 2017. Food Secure Canada teamed up with filmmaker Jocelyne Clark to produce a short video on how Canada can better support new farmers and farm renewal to ensure a strong and sustainable food system for generations to come. The film features interviews with three farmers in Quebec, as they share their perspectives on the challenge and opportunities of farming and the future of agriculture in Canada. Options for New Farmer Training: A Scan of Farmer Training Programs in North America, explores different models of practical farmer training across North America. 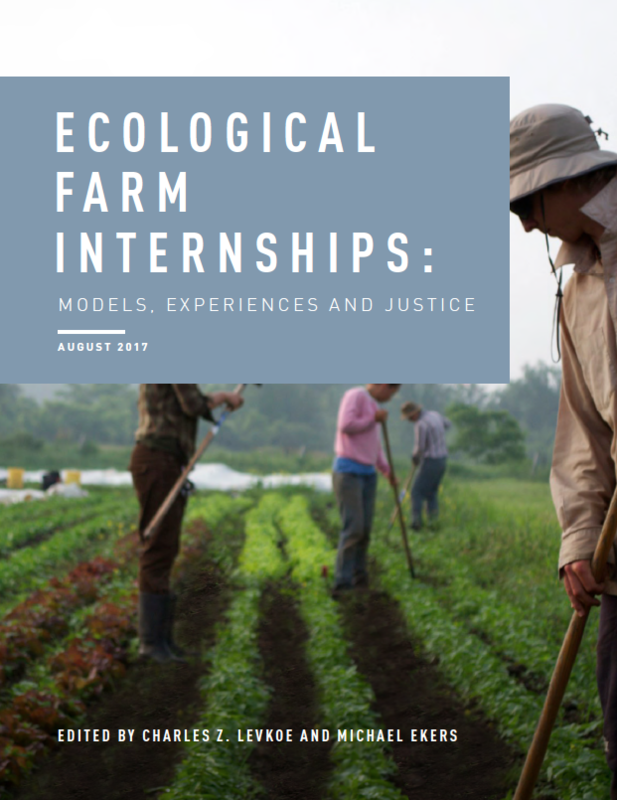 This report is the result of a research partnership between FLEdGE: Food, Locally Embedded, Globally Engaged researchers, the Ecological Farmers Association of Ontario (EFAO), and the Collaborative Regional Alliance for Farmer Training Southwest Ontario (CRAFT). We face a series of national and global food-related crises. In the UK and in many parts of the world there are record levels of obesity, while there are also rising numbers experiencing malnutrition, including some of those who are obese. A UK government minister says our soils may only last another thirty years because of their mismanagement. Beginning in May, The New Farmers’ Working Group, a working group drawn from Sustain Ontario’s Farming and Farmland Network with a few external stakeholders drafted a response to the Farms Forever consultation by the Ontario Ministry of Agriculture, Food, and Rural Affairs (OMAFRA). The document was submitted and signed by the organizations forming this working group, all of whom are key organizations working to support new farmers across the province: Just Food, Farms at Work, Golden Horseshoe Food and Farming Alliance, Roots to Harvest, Rural Agri-Innovation Network (RAIN) and Everdale. Summary Report from the discussions held on June 5th at ‘Finding Common Ground: A collaborative discussion on shaping Canada’s National Food Strategy’, organized by the Canadian Federation of Agriculture. If you have any questions or comments regarding the summary report, please send them to Scott Ross at scott@canadian-farmers.ca or 613-236-3633 ext. 2324. The Northern Food Network will be hosting bi-monthly webinars focused around some core themes of Northern food security.